You’re all set to make your mark in the world, to show to your peers and family that you have the ambition and the will to become the next big thing. But to reach that pedestal, you need the right journey. Nothing short of the best university, the best teachers, or the best jobs will suffice. 65% of the Indians give up their dream to study in the states because of the cost involved. Of course, some costs are non-negotiable- like the tests, the school fee (to some extent), and the travel costs. But what if I told you that with smart planning, you could cut down your ‘necessary costs’, like books and accommodations in the states by half? 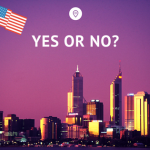 Choose the right coursWhile you may want to pursue an MBA from the US, your financials may not always support the same course. In such a case, you should look for other options such as MS in Business or Business related courses where subjects are very similar to those of an MBA. The costs of an MS continue toe be significantly cheaper than the cost of an MBA qualification, and often the benefits are comparable. Meet a career counselor to decide the best pathway. Save on Airfare costsTry to plan your trip as early as possible. Choose the right dates and time for your flight – these neither lie on peak dates, nor on peak hours. If done the right way, you can save more than 60% on just your tickets. If you’re planning to come back, consider buying return tickets. Explore your accommodation optionsWhile living on-campus can keep you close to classes and in the middle of a lot of opportunities, no one can deny that they’re super expensive. Compared to around $600 of living in campus dorms, you can actually cut your rent to $300-400 while sharing it with other students, outside in the city. You can also look at living with host families – easy to find them on the American Homestay Network or Lingoo. Apply for scholarshipsWhile almost all colleges abroad offer financial assistance, there are hidden scholarships or small bursaries and grants that need some searching. Most of the times, 5/6 scholarship opportunities will present themselves during your life in college. Save your costs on booksTextbooks in colleges are subject based, and multiple number of cheap alternatives are available to students. Most times, books suggested by the university are overpriced, underused, and unnecessary. You can save around $1000 per semester by planning your book purchase. Get your book lists early, and start looking for alternatives based on your subject syllabus. Most times, you will be able to get a cheaper alternative, perhaps by a foreign author. Keep them in mind, and wait for the semester to start, when you can discuss the same with your professors. If the prescribed books are necessary, look for options to buy from your seniors or share books with your batchmates. Join Packback or use Student Rate Textbooks to compare prices and get suggestions from your peers and seniors. Look out for part time jobsContrary to popular belief, as an Indianin the US, you won’t spend all of your day time in college. You’ll get ample amount of free time every day which you can use to keep yourself busy by taking up a part time job. Salaries from part time jobs combined with small scholarships from your college are enough to give you a very comfortable lifestyle, or in some cases, a luxurious life (depending on your personal capabilities) in the US. If you don’t feel comfortable stepping out of your house, try picking up a freelancing job from angel.co or simply write. While it may sound like a lot to do, it is actually pretty easy. All it needs is proper planning. Play your cards right, and exploit every freebie you get in the land of opportunities. Who knows, you may not only save for yourself but also end up earning more than your needs. They don’t just call it a land of opprtunities for no reason ;). Are you feeling Trumped ? What to consider when planning to Study Abroad ?